What a cute store! I am so excited! 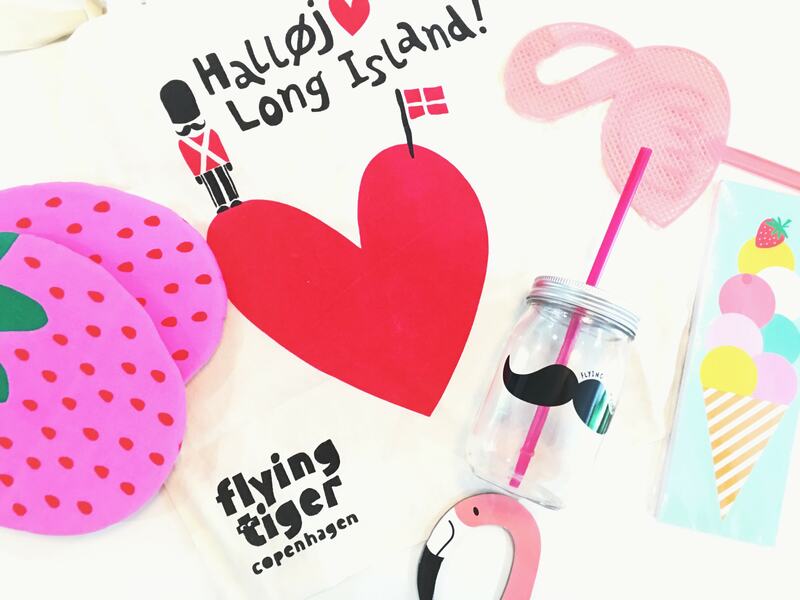 Flying Tiger Copenhagen is coming to Long Island – Westbury Plaza to be exact The store will celebrate its Grand Opening on Friday, June 17th and I would love for you to join us. Yes, I will be there having fun with the rest of the customers. Come check out the store while I am there from 12pm-2pm! So, here’s the deal — if you come during the grand opening, you will enjoy some freebies like tote bags, wanted posters and Danish flags. There will also be fun games to participate in! Would love to see you there! If you want to tweet about your experience while at the store, be sure to use @FlyingTigerUS (Twitter) @FlyingTigerUSA (Instagram) and #FlyingTigerWestbury with your updates and photos. *I’ve partnered up with Flying Tiger Copenhagen to help spread the word about their grand opening. All opinions are my own. I have never heard of this company, but I think it would be fun to check out! I am all about the shopping ROFL! This store looks so cute! I so wish I was in the area to check it out! This looks like a really great and fun store. I wish I lived closer. Maybe next time I’m in the area I can stop by. Congrats on your grand opening. I hope you have an amazing turnout. It looks like a great store! I wish I lived closer to it!